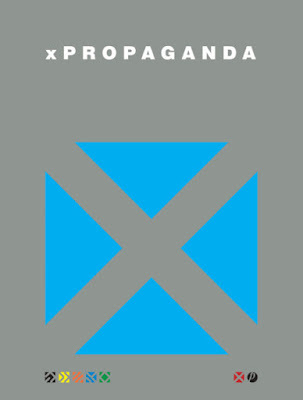 Last Friday night Paul, Simon and I went to see xPropaganda (i.e. ex-Propaganda, geddit?) perform their album A Secret Wish at The Garage in London's glitzy Islington. xPropaganda are original band members Claudia Brücken and Susanne Freytag and it was sure nice to see the ladies on stage again. They were also joined by album producer Stephen Lipson which was the cherry on the cake. So why the gig? Maybe there’s yet another ‘new’ version of A Secret Wish being released. Ha, ha! Oh, wait… there is! Sadly, the gig was a bit underwhelming though. I've seen Claudia Brücken perform these songs many times over the years and often much better. Maybe it was the venue, maybe it was the heat, or maybe that the songs only seemed to be performed as their album versions (with few nods to the live setting.) We just weren’t blown away like we knew we could be. Great to see them though.